Happy New Year everyone! I don’t know about you, but I can’t believe we’re almost a month into 2018. This year for me is all about having intent with my time and relationships. It’s easy to let self-care and time with your family and spouse slide. This year I’m making it my number one priority. Up first, some ideas to reconnect and have fun with my husband. So tuck the kids in early, or send them off to grandma’s for a sleepover. I’ve got some great ideas and a tasty recipe to fit any budget. Game Night- Stock up on your favorite snacks, fill your wine glass, and grab your favorite games. Spend the evening connected in friendly competition. Bonus points if you can get some friends to join. 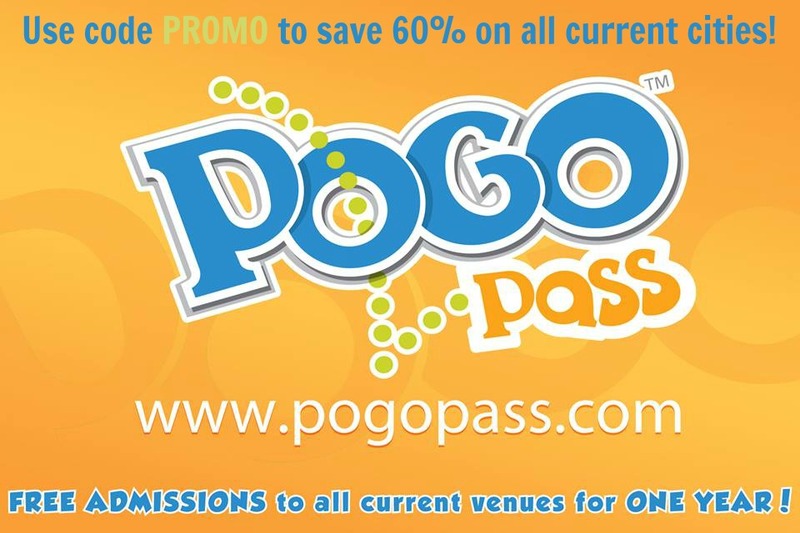 Get 2 Date Nights for the “price of one” by switching up who hosts each week. Nerf Dart War- This one’s great for when the kids are really zonked out or perfect for a day date at home. Get the adrenaline pumping in an all out battle or setup target practice with DIY targets to knock over. Movie Night- Curl up on the couch with a comfy blanket and the newest DVD release. 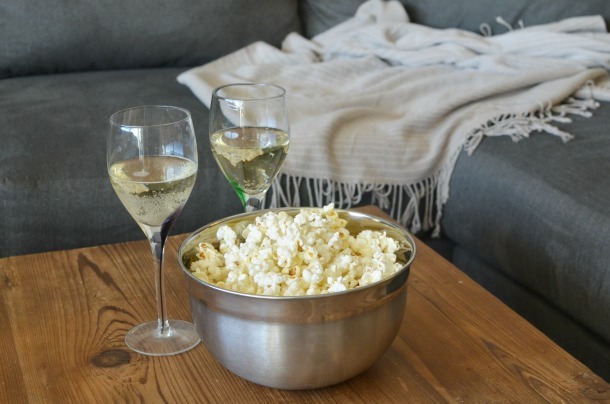 Make it a movie night in with all the works: popcorn, chocolate, and a glass of wine. Family Night- Make it a family double date night; we are known to do this weekly with our good friends. The kids get to see their friends, and the parents get much needed adult time. We let the kids run around outside or set them up in the playroom with a movie. The parents go head to head in some of our favorite games, usually in battle of the sexes style. Day Date- This is one of our favorites to do. During the summer when the kid’s are at camp or when grandma takes the kids for the day we spend the day getting things done around the house. We blast music and clean, binge watch our favorite TV series and declutter/organize, sneak in some grocery shopping, then home to prep meals for the week. Sneak in all this in one day means the next few weekends are free and relaxing time with the family! Cook Dinner Together- Feed the kids, tuck them in and spend some time prepping a meal together, without kids under foot. Then enjoy some great conversation, catch up on some shows, or mix in a game night. My new go to meal prep tool for fast meals is my countertop convection oven, aka the next gen of toaster ovens. No need to heat the whole house up for a simple dinner for two. It truly is a replacement for your big oven when you have small jobs! 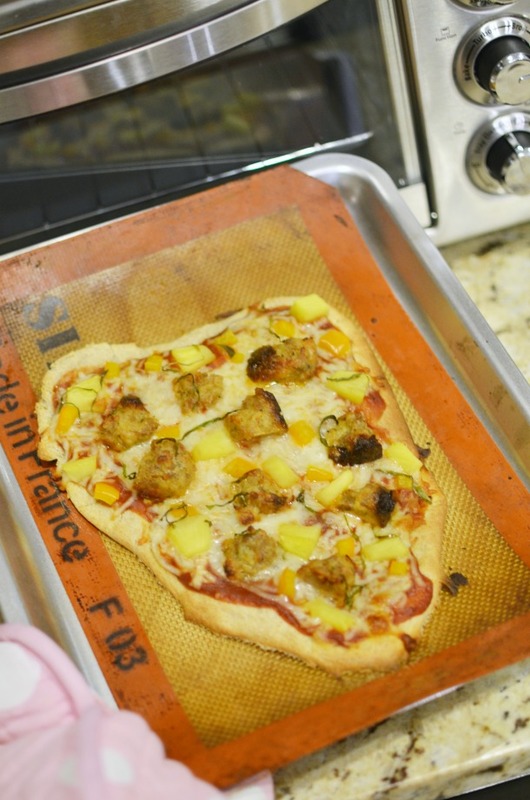 Checkout the tasty twist on Hawaiian pizza we cooked up tonight and grab the recipe below. Set convection to Bake 450°. Pre-bake your crust or flat bread until it’s lightly golden. Top with sauce, mozzarella, then bell peppers, meatballs, and pineapple. Roll fresh basil and clip into thin strips with kitchen shears. 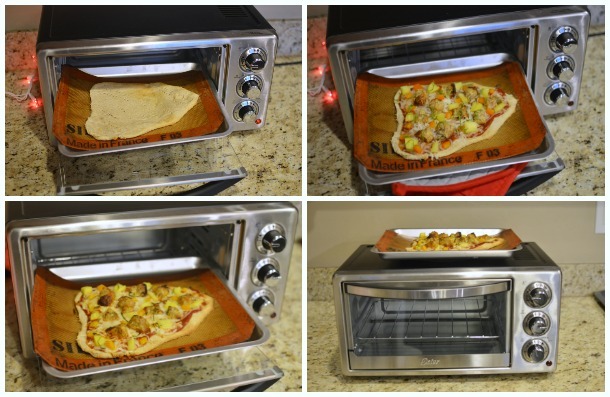 Place prepared pizza back in toaster oven and bake until cheese is melted (about 5-7 minutes). 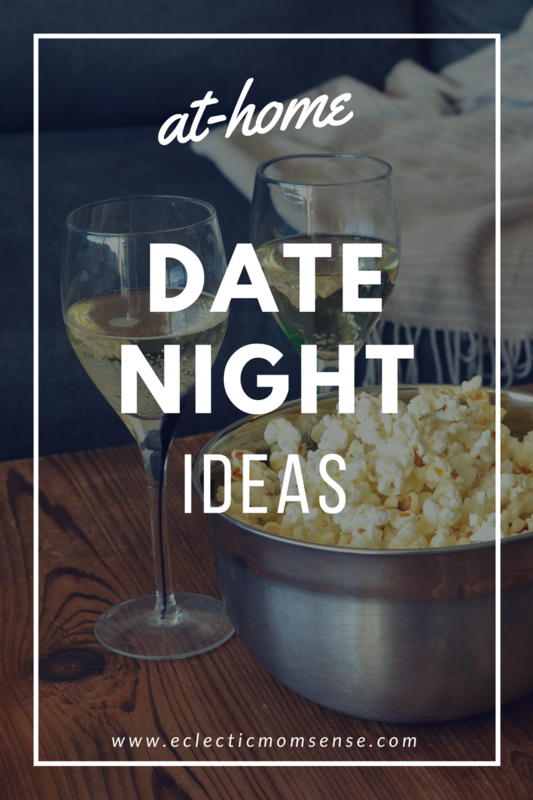 Date Nights are essential for any parent, and sometimes you have to get creative sneaking in couple time at home. Do you have any fun or out of the box date night in ideas? Movie night is always a go to for us when we want something romantic but don’t want to leave the house. Turn the lights down low or off, and snuggling. Does it get any better for romance? Home date nights are the best! We always look forward to this every once in a while. Wine, popcorn and a good movie. Thank you for sharing these ideas.